Totalfear: Artwork Previews From Collection Four! Artwork Previews From Collection Four! 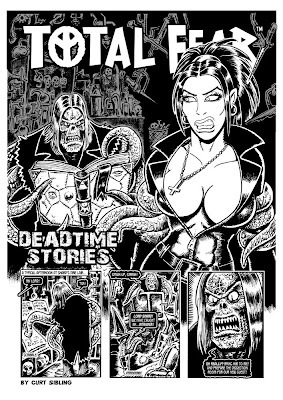 With Total Fear Collection Four now out, we thought it would chipper to show some previews of the comic artwork! We think these are our most dynamic pages so far, what with the skills of the incredible Tiberius McGregor on board and all! Check out these sneak peeks!